Casual friendly puzzle game may satisfy virtual sweet tooth. King's Candy Crush Saga was partially built around a simple truth: people love candy. This will also take center stage in CandyMeleon, a new puzzle game from BulkyPix debuting on iPhone and iPad May 2. As the title implies, players will meet a new species of chameleon with an insatiable appetite for sweets. The goal is to basically maneuver this creature back and forth across the screen snatching pieces of candy from the air while at the same time avoiding enemies. Throughout the course of this title, they'll discover nine critters, save their progress via iCloud and pester their Facebook friends. 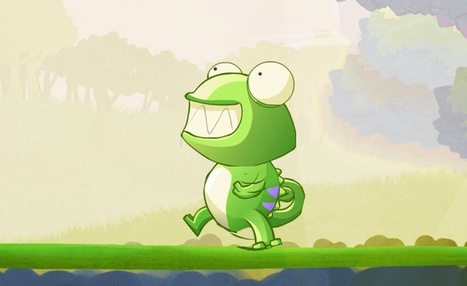 We had a chance to play CandyMeleon in March and still think it has tremendous potential. Will it be the next big thing on the App Store? BulkyPix certainly hopes so.